HOUSTON (Reuters) - U.S. oil refiners are planning a heavy slate of plant overhauls in the second quarter, with total production this month off 8.5 percent compared with the start of the year, according to data from the U.S. Energy Information Administration. Early spring and winter traditionally are heavy periods for U.S. refinery maintenance. But refiners are planning more upgrades than usual in the first half of 2019 to avoid fall and winter shutdowns as they prepare to meet coming low-sulfur standards. This year’s maintenance schedule and higher crude prices helped push U.S. gasoline prices to a national average of $2.83 a gallon last week, up 26 percent since the start of the year, according to data from the American Automobile Association. U.S. crude futures rose 32 percent in the first quarter. International Maritime Organization (IMO) 2020 is a standard for maritime diesel that takes effect on Jan. 1 and is designed to reduce air pollution. Refiners have been revamping their plants to make IMO 2020 compliant fuel. “They will push (winter) turnarounds later into 2020 to take advantage of that margin bump from the switch to IMO 2020,” said Susan Bell, a senior associate at energy consultancy IHS Markit. Most U.S. refiners typically ramp up production of motor fuel during the second quarter to build inventories for the summer driving season. But Bell said an average of 1 million barrels per day (bpd) of crude oil refining capacity could be offline through the second quarter. Work on refiners’ crude distillation units (CDUs) and catalytic crackers helped send volumes down to 15.85 million bpd in the last week of March, from 17.5 million bpd in the first week of January, the EIA said. CDUs generate feedstocks for fuel processing units such as catalytic crackers. Among the refiners scheduling major maintenance this month are Valero Energy Corp and BP Plc. Valero’s Memphis, Tennessee, refinery will shut its 65,000 bpd gasoline producing fluidic catalytic cracking unit for a 60-day overhaul the last week of April. BP is shutting one of two small CDUs at its 413,500 bpd Whiting, Indiana, refinery on Monday for 30 days of work. The Whiting refinery is BP’s largest in North America. Work also is continuing this month on a planned overhaul of the 112,000 bpd gasoline-producing residual catalytic cracking unit at Royal Dutch Shell Plc’s 218,200 bpd Norco, Louisiana, refinery. That unit is expected to restart in the first full week of May. Two other major overhauls finished during the switchover between the quarters. 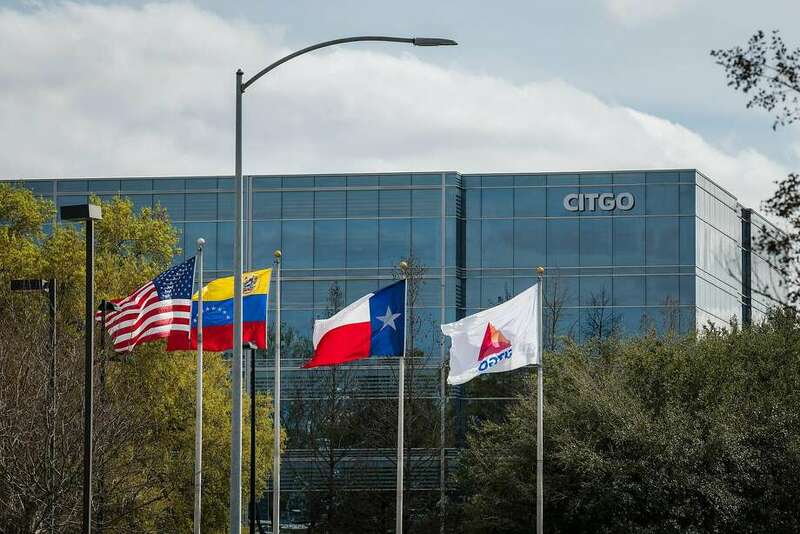 Exxon Mobil Corp recently finished CDU overhauls at two plants: its 560,500 bpd Baytown, Texas, refinery wrapped up work on its largest CDU in late March and the company’s 502,500 bpd Baton Rouge, Louisiana, refinery restarted its second-largest crude unit on Monday. FAC recently issued its latest list of tanker companies and vessels to be blacklisted for trading with Venezuela. The following companies were added to the list - Jennifer Navigation Ltd, Large Range Ltd, Lima Shipping Corp, and PB Tankers. As for the ships involved, they were named as ‘Alba Marina’, a floating storage tanker claimed to be attached to PB Tankers; ‘Gold Point’, ‘Ice Point’,’Indian Point’, ‘Iron Point’ and ‘Silver Point’, all attached to PB Tankers; ‘Nedas’ attached to Jennifer Navigation; ‘New Hellas’ attached to Lima Shipping and S-Trotter, attached to Large Range. In response, PB Tankers said it was shocked and concerned by the action taken by OFAC in adding the company and a number of the its vessels to the current SDN (Specially Designated Nationals) list in relation to trade with Venezuela. This was done without any notification or contact with the company, who only became aware through the media. As a consequence, we will be taking immediate steps to ensure that both are de-listed as a matter of urgency, the company said. PB Tankers, also said that as an Italian shipping company with more than 100 years of service to the international community, has been taking regular advice from both its UK and US lawyers and has been diligent in taking all possible steps to ensure compliance with current US sanctions including, but not limited to, possible restriction of trade under a single timecharter contract, which pre-dates the current sanctions regime. The company further claimed that it does not have any ships in Venezuela, nor will be trading into or out of Venezuela. PB Tankers will continue to meet its obligations as a matter of international law, the company stressed.